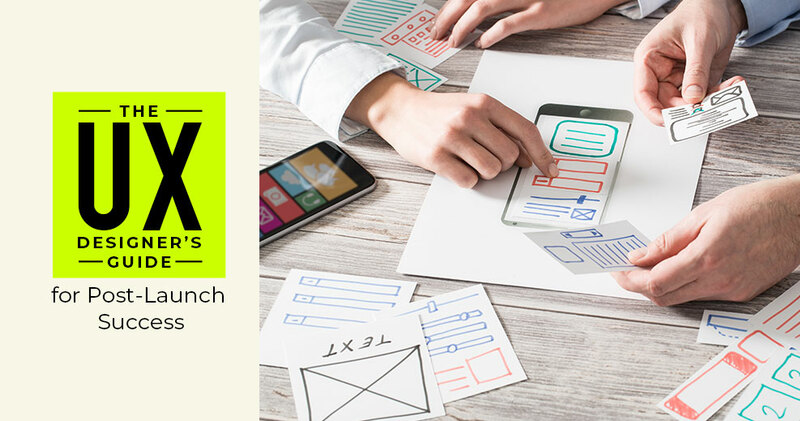 The job of the UX designer is not over with successful app launch. You might have spent all that time and effort in planning, research, and the creation of the app but you need to continue giving efforts at the post-launch stage as well. This would ensure the real success of your endeavors and the users would finally have a staple they cannot live without ever. The post-launch success involves smart optimization techniques, and actionable, informed insights and you would have that perfect UX for the app, getting you the required raise. UX designers anticipate the behavior of the users, right from the onboarding stage. This helps to create natural and clear navigation path for the users to return. It is important for you to ensure positive experiences for the users and this reflects in their behavior. Tracking the real-time user behavior is possible and so is a prediction of in-app experiences. One does not necessarily have to be a mind reader to achieve this end but qualitative analytics is the answer. Quantitative tools have been the traditional tools for the marketers, developers and the designers of UX. Here the focus was on numeric data to answer questions like, ‘what’ and ‘how many’ of the various in-app issues. 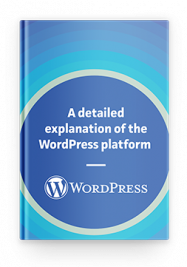 The dissatisfaction of the mobile-app teams was quite evident as they could not get the answer for their when, who, where, and why. This dissatisfaction leads to the development of the new analytics category. Qualitative analytics uses the data acquired from experiences, feelings, and emotions. It fills a void left by quantitative analytics and a combination of these two is a powerful force that ensures the app success in the post-launch scenario. Once you have to go through the pre-launch requirements scrupulously, achieved the app launch, it is time to examine how the app fares in the market. Guarantee smooth UX to ensure a 5-star review, by employing the following 5 tools of Qualitative Analytics in the post-launch phase. The most precise and the easiest method of measuring UX in its totality go beyond session durations and the retention rates. These metrics might be important but the user recording proves to be the tool of most value as the UX designer. This way you can experience the UX just when the user does besides realizing the efficiency and the intuitiveness of the app experience consistently. Pinpoint the problem areas in the app easily and make changes as needed. There is no more need to spend hours in user interviews wasted due to sugar coated or biased feedbacks. Gather an accurate feedback with the user recordings and this does away with the need for in-person interview, polls, and surveys. You can get feedback real-time as you watch user interactions with the app. 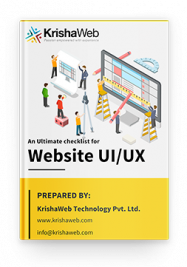 The UX designers need to understand the intuitive UI thoroughly but this does not prepare you in any way regarding the large-scale user interactions with the UI until after the app launch. 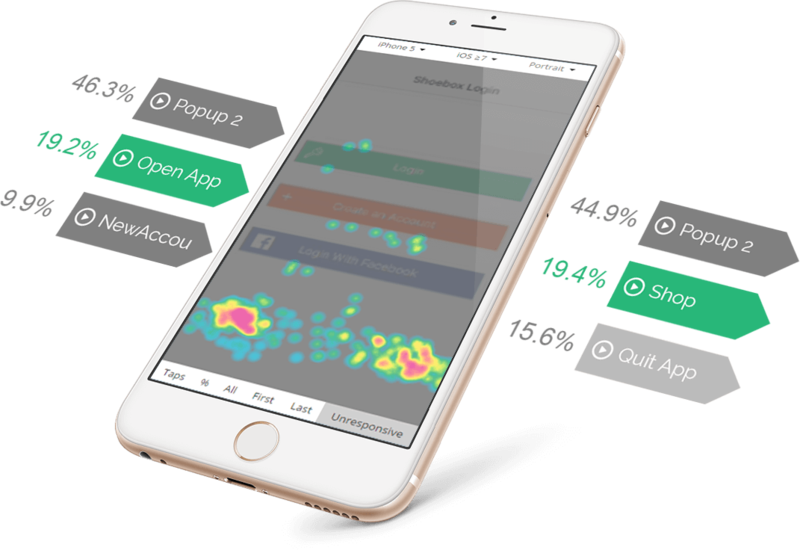 You gain a noteworthy advantage by tracking post app launch scenario with powerful testing tools for UI such as the Touch Heatmaps. This gives you actionable insights by aggregating the gesture user data from the specific screens present within the app. These would track the double taps, taps, pinches, and swipes among others, representing each occurrence inside mock-up visual screen. It is not possible to gain information like this with the traditional analytics and Touch Heatmaps gives you an advantage in this regard. Assess whether certain app gestures are natural for users. You can make changes as needed, alter the button sizes, or change the user interactions with the pop-ups. This tool is critical in UX process. 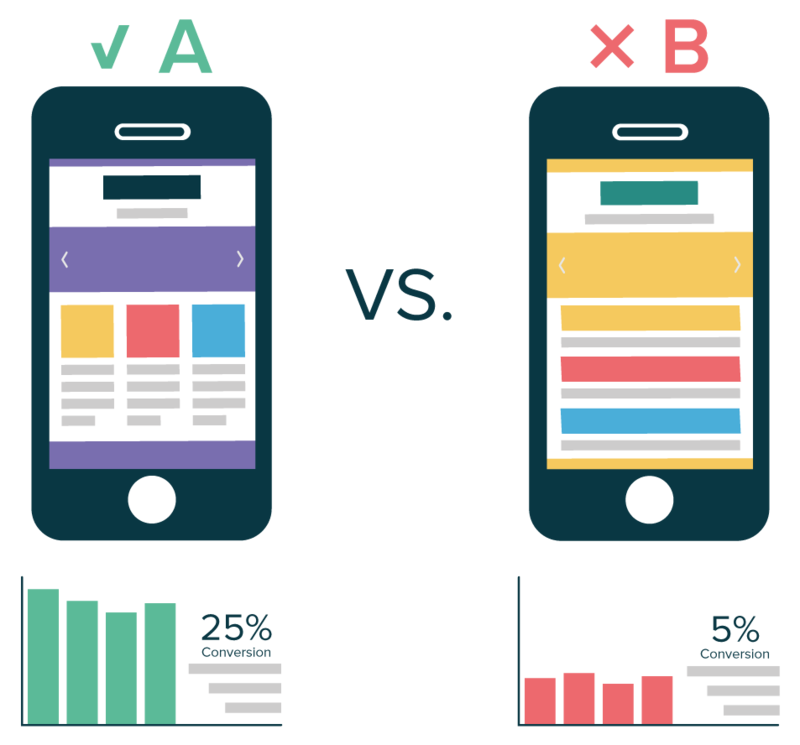 One of the crucial components in the workflow of the UX designer is A/B Testing. When you use this tool for testing the two different app version components you can determine the wone most intuitive to the users. This traditional tracking tool for UX upon pairing with qualitative analytics gives you unforeseen insights. During A/B testing process try to use recordings from both the user sessions along with the heat maps. 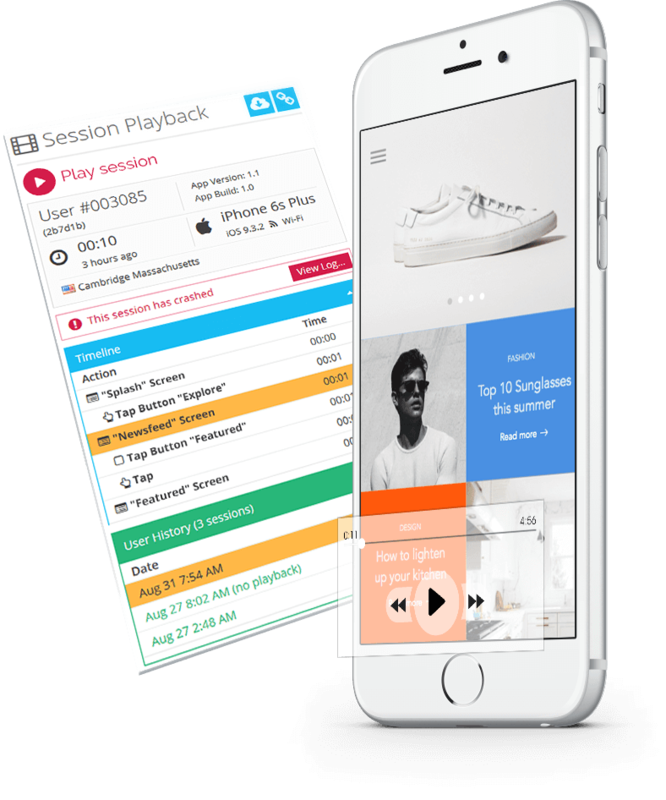 The recording of the user session provides insights into single-user levels performance with each version of the app. Touch Heatmaps gives insight on large scale interactions of the users with each version of the UI. This process related to A/B might be tricky but the use of qualitative analytics makes this an efficient and quick process and you successfully navigate A/B process. The session length mostly indicates user experiences. When the session was too short this might indicate the frustration of the user with the app quite early on during use. With the tool for qualitative analytics track, the short and long sessions easily to see why and where users decide to leave the app. Use the recording tools for user sessions along with action timeline. The UX designers are able to track the points that lead right up to the abandonment of the app. If needed you can watch loyal user sessions and learn from such experiences. Now guide other users in a way that they replicate the experience. During the design of user experience, you need to remember the importance of user flow optimization along with navigation path goals. The navigation paths bring the users for completing the in-app conversion. This might include arrival at the certain screen, finalizing the purchase, or playing games. UX designer is responsible for the smooth ride of the users across conversion funnel. When the conversion rate suffers, use the tools mentioned above to understand and track funnel drop-offs. 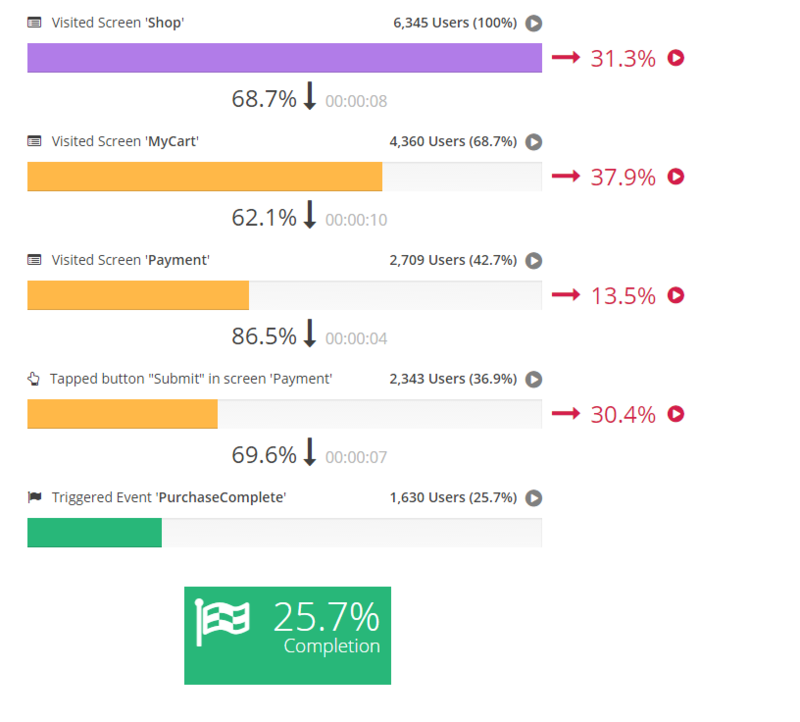 With the session recordings, you can get insight into the non-engagement of the users with specific screens prior to conversion or the reason for the premature stopping of the processes. It is not easy to create frictionless UX. It takes dedication, time, and effort. The availability of the appropriate tools helps in effective and quick app optimization. Use qualitative analytics to gain insight and learn from in-app user lifetime. With this, you can now create UX of the lifetime. Get the best UI/UX Design Services for Mobile Apps and Web.